Heat oven to 350°F. Line 13x9-inch pan with foil, extending foil over edges. 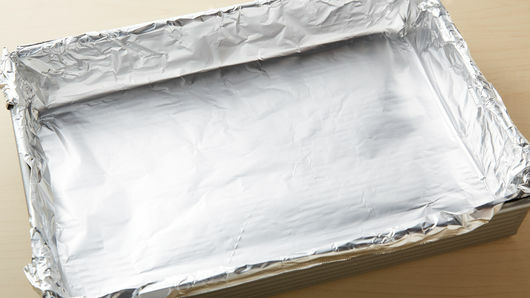 Line large cookie sheet with cooking parchment paper. 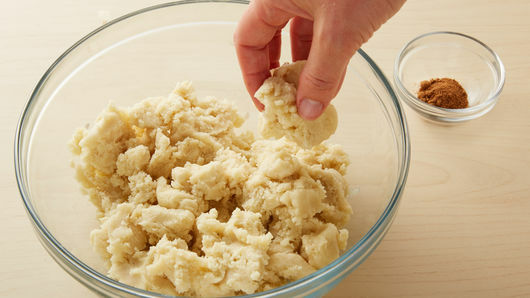 In medium bowl, crumble cookie dough; stir or knead in nutmeg until well mixed. Press evenly in bottom of foil-lined pan. Bake 12 to 15 minutes or until edges are golden brown. Cool completely, about 1 hour. Use foil to lift bars from pan. 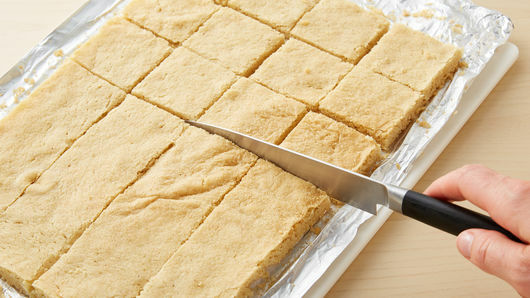 Trim crust edges from bar. Cut bar into 6 rows by 4 rows. In small microwavable bowl, microwave white vanilla baking chips uncovered on High 1 minute, stirring every 30 seconds, until melted and smooth. Dip 2 opposite corners of each square into melted chips, letting excess drip off. Place on cookie sheet. Refrigerate about 10 minutes or until set. Store covered in refrigerator. 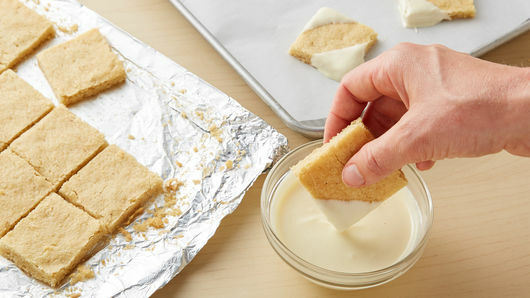 Top your favorite ice cream or yogurt with the cookie crust edges. Sprinkle vanilla-coated edges of each cookie with chopped nuts or holiday decors for a more festive cookie. 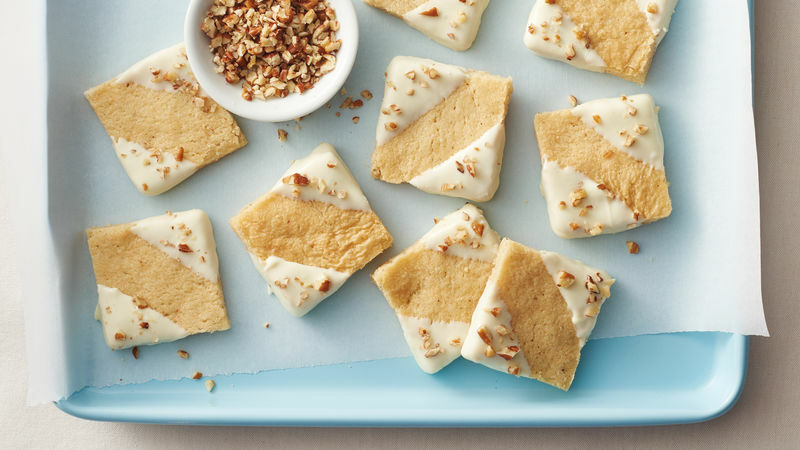 For a fun flavor twist, substitute ground ginger or cinnamon for the nutmeg in this bar.